Big Data & Data Science Blog: Did you miss LUCA Talk: Using mobile data in the transport sector? Did you miss LUCA Talk: Using mobile data in the transport sector? LUCA Talk 7, held on Tuesday 3rd October, gave us an invaluable insight into the transport sector. There was a focus on mobile data and the way it can be used to track the movement of people. This data is always anonymized and aggregated and at LUCA, we have been collecting it since 2012. With LUCA Transit and the power of this information, it is possible to track anonymized groups of people when they move or dwell. Ultimately this allows our clients to make more informed decisions on transport planning, as explained in the talk. It's not too late to catch up! 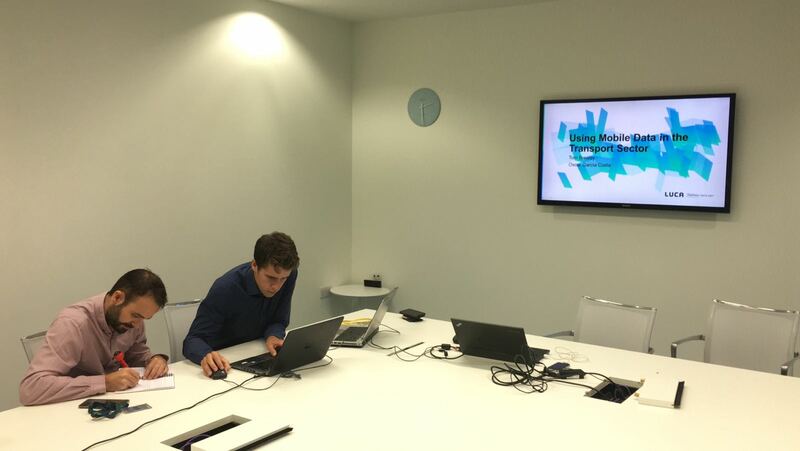 Figure 1: Tom Brealey and Oscar García Costa getting ready for the webinar at our offices in London. The talk was split into 4 sections. Firstly, Tom Brealey gave us an introduction to the topic and helped us to understand the key areas of the technology. He then went on to talk about a specific case study, LUCA’s project with Highways England, an interesting example of how the mobile data can be utilized. Oscar Garcia Costa followed this up with an incredibly detailed analysis of the utilization of mobile data in Quito, Ecuador. LUCA has worked with the transportation authorities in Quito to help to plan and manage the transportation system. This has been achieved by analyzing the movement of people, as explained in the video below. The webinar concluded with a Q&A section, giving viewers the opportunity to ask questions to our experts.